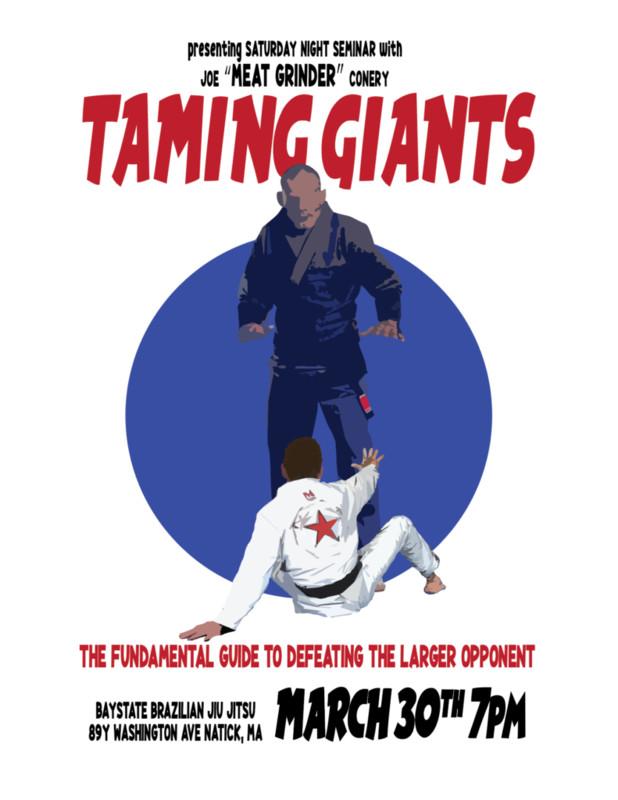 In an effort to build a spirit of cohesiveness and unity in our local BJJ community we have created a series of events bringing together instructors, competitors and students from different academies and associations to openly highlight and share their favorite concepts and techniques. These events are open to anyone interested in learning some fresh techniques from talented local instructors while meeting and training with like-minded new friends. We are excited to announce Professor Joe”Meat Grinder” Conery as the next guest instructor in our series of “Saturday Night Seminars”! 7pm-10pm- It’s a BJJ night out. Each event will include 90 minutes of instruction followed by a 90 minute open mat. Cost: $40 check or cash at the door – All proceeds will be donated to a charity of the instructors choice. Participants will receive a high quality event poster featuring some awesome artwork. Open to practitioners of all skill levels. First and last name, Academy/instructor, Cell number.